Many associate the holidays with rest and relaxation, but you actually are involved with quite a bit of physical activity! From putting up the Christmas tree to all-day shopping, your body experiences heavy lifting and lots of walking, not to mention the stress that is the holiday season. To remedy these strains on your body, consider seeing a West Loop chiropractor! During the holiday season, the chiropractic services offered at Sports Injury Centers will be a huge relief. Whether you want acupuncture to deal with the stress of planning a holiday party, a spinal adjustment after bringing up boxes and boxes of decorations, or custom foot orthotics before a day of ice-skating, our West Loop chiropractor has it all! We want you to enjoy the season, not just tolerate it. Millions of Americans see a chiropractor regularly to help with back pain, sports injury recovery, pain management, and much more. 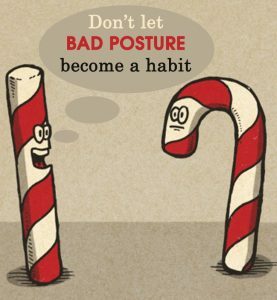 If you are already seeing a chiropractor, you may want to increase your visits during this time of the year. Take preventative actions before chopping down a Christmas tree; you want to be able to decorate it as well as put it up! If you have never been to a chiropractor before, don’t wait any longer! From putting up your Christmas tree to holiday parties where you are on your feet all night, the holiday season can really wear your body down. This is why you will want to see a West Loop chiropractor right away! Contact Sports Injury Centers to schedule an appointment today-we also have locations in the Loop, Lincoln Park, and Skokie!